Monde Sitole teaches from some of the world’s highest altitudes. 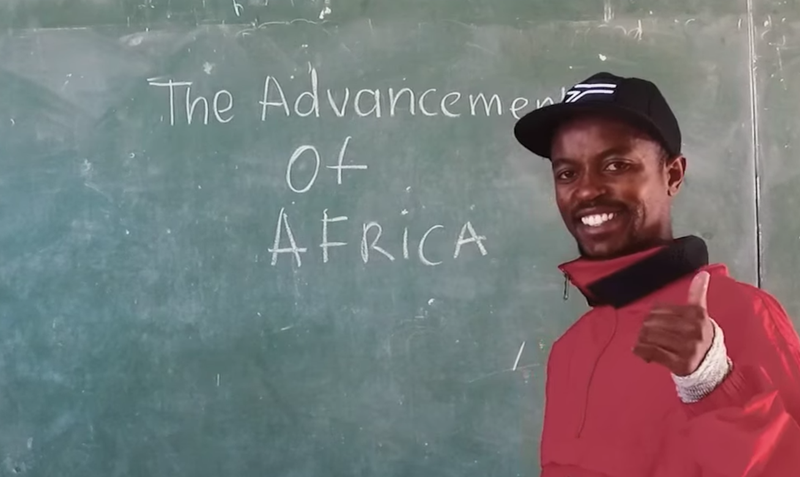 Watch how he is using extreme adventure to bring education to children in poor communities. The mountains are Monde Sitole’s classroom. He’s climbed Mount Denali and Elbrus, and Kilimanjaro twice. But he’s not doing it to proclaim victory. Sitole’s true interest lies in our education system, and how to improve it. He believes that traditional methods of teaching are ineffective, failing to appeal to children’s personalities and provoke innovative thinking. Using his spirit for extreme adventure, Sitole is imparting lessons to the youth that expand their horizons. “We need an education system that is founded on people’s aspirations,” Sitole says. “Then we can begin the dialogue of breaking the cycle of poverty.” Without the right resources, children are unable to dream of a life beyond their circumstances. “When people become discouraged it’s lack of vision,” he says. Not only does Sitole motivate kids with his climbs, he’s actually showing them the ropes. Through the Monde Sitole Foundation, he provides access to outdoor activities such as rock climbing, sailing, and hiking. The children are challenged and encouraged to grow. “There’s something intrinsic in them that gets switched on,” Sitole says. Up next is possibly Sitole’s greatest test yet. He is preparing to climb Mount Everest without oxygen, committed to the belief that mountains should be respected as they are. The expedition will be used to raise funds to establish a primary school for girls in the village of Lady Frere in the Eastern Cape. As Sitole conquers the world’s highest peaks, he’s empowering some of the most under-resourced communities. Labels like educational strategist and adventurer have been attached to Sitole’s name. He prefers another word: disruptor. If something isn’t working, Sitole is ready with creative solutions. To uplift a generation, we need to take the first step in a different direction.